The Russian Revolution of 1917 was one of the seminal events of the early twentieth century. In the face of mounting opposition and disastrous defeats in World War I, Tsar Nicholas II abdicated power and was replaced by the Provisional Government. It was not able to successfully disengage from the war or resolve the economic chaos that resulted from the collapse of the old regime. Because of these failures, the Provisional Government was equally unable to transition quickly to a functioning democracy. In the face of the seemingly impossible task, the Bolsheviks were able to seize control from the Provisional Government and consolidate power in a coup d'etat. That the Bolsheviks accomplished this even in the face of a multi-front Civil War only strengthened their grasp of power ongoing. The Russian Revolution became the first in a series of Communist revolutions that controlled over a third of the globe in the late twentieth century. The nation that was born in a coup d'etat ironically ended in the aftermath of a failed coup d'etat against the reform leader Mikhail Gorbachev in 1991. The first was that of the February Revolution of 1917, which displaced the autocracy of Tsar Nicholas II of Russia, the last tsar of Russia, and sought to establish in its place a liberal republic. The second phase was the October Revolution, in which the Bolshevik party, led by Vladimir Lenin, instigated a coup to overthrow the Provisional Government, presenting the takeover as a revolution in the name of the workers' soviets. While many notable historical events occurred in Moscow and St. Petersburg, there was also a broad-based movement in the rural areas as peasants seized and redistributed land. Many factors played key roles in the collapse of the imperial regime and the revolutions of February and October. Among these were the backwardness of the country, the weakening of the autocracy, the search for greater autonomy on the part of non-Russian groups, the work of revolutionary organizations, and demoralization due to war losses. There are also many who see history as reflecting a providence grounded in spiritual elements and principles. Some historians integrate both spiritual and religious influences with economic and political developments when accounting for these revolutions. It is notable that violence often results from spiritual and religious failings. Factors can include arrogance of power and the misdirected desperation of the oppressed. At the turn of the twentieth century, Russia's political, economic, and social systems lagged far behind those of Western Europe. Russia's agricultural economy still resembled that of medieval Europe, with peasants bound to an inefficiently-managed village commune, using outdated farming methods. While Russia's serfs were emancipated in the reforms of 1861, their way of life remained substantially unaltered. The peasant commune replaced the old estate owner, but the methods of farming remained the same as they had been since pre-Imperial Russia. Suffering from a naturally cold climate, Russia's growing season was only four to six months, compared to eight to nine in Western Europe, and so the rural agrarian economy struggled to produce enough food to feed the cities each year. Russia was slow to undergo the industrialization that marked the development of Western society, lagging nearly half a century behind the West. It was forced into the position of needing to "catch up." Despite vast expansions under Sergei Witte to the railway system, Russia's infrastructure was still insufficient to support industrial development. It still lacked the ability to effectively transport food to the cities. Rapid industrialization of Russia resulted in urban overcrowding and poor conditions for urban industrial workers. Between 1890 and 1910, the population of the capital of St. Petersburg nearly doubled, swelling from 1,033,600 to 1,905,600, with Moscow experiencing similar growth. In one 1904 survey, it was found that an average of 16 people shared each apartment in St. Petersburg, with six people per room. The house of Romanov ruled Russia for nearly two centuries, but Nicholas II was not a particularly effective leader. The bond that was thought to exist between the "little father" as the Tsar was known, and his people began to strain during the Russian Revolution of 1905. Dissatisfaction with Russian autocracy reached a crescendo in the Bloody Sunday massacre, in which Russian workers saw their pleas for justice rejected as protestors were shot by the Tsar's troops. The response to the massacre crippled the nation with strikes. Nicholas released his October Manifesto, promising a democratic parliament (the State Duma) to appease the people. However, the Tsar effectively nullified his promises of democracy with the 1906 Fundamental State Laws, and then subsequently dismissed the first two Dumas when they proved uncooperative. These unfulfilled hopes of democracy fueled revolutionary violence targeted at the Tsarist regime. Imperial Russia had always been a multi-ethnic state. The state had always been an administrative system imposed from above. The real political unit was primarily the village commune. Within the Great Russian peoples, the Russian Orthodox Church and the patriarchal family system helped to sustain the autocracy, but this had always chaffed other ethnic and religious groups within the nation. There was no organic unity. When economic and social systems began to collapse under the strain of the war, these differences were exacerbated. Prior to the outbreak of World War I, Russia had already endured a string of military failures. The war with Japan in 1904-1905 was a great failure. After the outbreak of WWI, the Russian army enjoyed some initial successes against Austria-Hungary in 1914, but Russia's shortcomings—particularly regarding the equipment of its soldiers and the sophistication of its weapons—became increasingly evident. In 1915, things took a critical turn for the worse when Nicholas decided to take direct command of the army, personally overseeing Russia's main warfront and leaving his incapable wife Alexandra in charge of the government. By the end of October 1916, Russia had lost between 1.6 and 1.8 million soldiers, with an additional two million prisoners of war and one million missing, which severely undermined the army's morale. Mutinies began to occur, and in 1916 reports of fraternizing with the enemy started to circulate. Soldiers went hungry and lacked shoes, munitions, and even weapons. Rampant discontent lowered morale, only to be further undermined by a series of military defeats. Nicholas' attempt to boost morale by personally taking command backfired; he was blamed for the failures, and what little support he had left began to crumble. Compounding this discontent was the strange episode of Rasputin, whose influence over the Tsarina Alexandra grew while Nicholas was away at the front. As this discontent turned into utter hatred of Nicholas, the State Duma issued a warning to Nicholas in November 1916 stating that disaster would overtake the country unless a constitutional form of government was put in place. In typical fashion, Nicholas ignored them. As a result, Russia's Tsarist regime collapsed a few months later during the February Revolution of 1917. A year later, the Tsar and his family were executed. Ultimately, Nicholas's inept handling of his country and the war destroyed the Tsarist regime and cost him both his rule and his life. World War I only added to the chaos. Food production and delivery, already hampered by Russia's lack of modern infrastructure or transport, became a massive problem during WWI, as haphazard conscription removed skilled workers from the railways and food-related industries, effectively aggravating poor harvests and causing famine. Conscription swept up the unwilling in all parts of Russia. The vast demand for factory production of war supplies and workers caused many more labor riots and strikes. Conscription stripped skilled workers from the cities, who had to be replaced with unskilled peasants, and then, when famine began to hit, workers abandoned the cities in droves to look for food. Finally, the soldiers themselves, who suffered from a lack of equipment and protection from the elements, were discontent with Russia's poor accounting in the war. Widespread inflation and famine in Russia contributed to the revolution. Factory workers also suffered due to Russia's young industry that sought to catch up with the rest of Europe. They had to endure terrible working conditions, including 12- to 14-hour days and low wages. Riots and strikes for better conditions and higher wages broke out. Although some factories agreed to the requests for higher wages, wartime inflation nullified the increase. Industrial workers went on strike and effectively paralyzed the railway and transportation networks. What few supplies were available could not be effectively transported. As goods became more and more scarce, prices skyrocketed. By 1917, famine threatened many of the larger cities. Nicholas's failure to solve his country's economic suffering coupled with the promise of the revolutionaries to do just that created conditions ripe for revolution. The February Revolution of 1917 in Russia was the first stage of the Russian Revolution of 1917. Largely a bloodless transfer of power from the Tsar, the regime that came into being was an alliance between liberals and socialists who wanted to instigate political reform, create a democratically elected executive and constituent assembly. In the first half of February, lack of food supply caused riots in the capital, Petrograd. On February 18 the major plant of Petrograd, Putilov Plant, announced a strike; the strikers were fired and some shops closed, which caused unrest at other plants. On February 23 a series of meetings and rallies were held on the occasion of the International Women's Day, which gradually turned into economic and political ones. They continued during the following days. At one point, a large battalion of soldiers was sent to the city to quell the uprising, but many deserted or even shot their officers and joined the revolt instead. This led Tsar Nicholas II to abdicate the throne on March 2. The Provisional Government that replaced the Tsar was initially led by a liberal aristocrat, Prince Georgy Yevgenyevich Lvov. After his government failed, he was succeeded by socialist Alexander Kerensky, a Menshevik. On March 1, 1917, the Petrograd Soviet of Workers' and Soldiers' Deputies issued Order No. 1, which ordered the military to obey its orders rather than those of the Provisional Government. Pressure from the right such as those behind the Kornilov Affair, from the left, mainly the Bolsheviks, and pressure from the Allies to continue the war against Germany, put the government under increasing strain. In early July, widespread discontent in Petrograd led to militant demonstrations calling for the overthrow of the Provisional Government. The Bolshevik leadership opposed this as premature but ended up leading the demonstrations, hoping to prevent any bloodshed. They felt compelled to do this to win the trust of the workers and because many of the Bolshevik rank and file were already organizing and supporting the demonstrations anyway. Troops loyal to the Provisional Government suppressed the demonstrations violently. The following crackdown resulted in the Kerensky government ordering the arrest of the Bolshevik leadership on July 19. Lenin escaped capture, went into hiding, and wrote State and Revolution, which outlined his ideas for a socialist government. 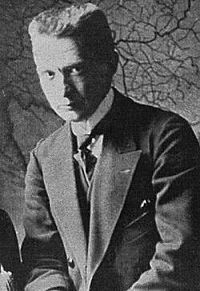 The repression against the Bolsheviks ceased when the Kerensky government was threatened by a rebellion led by General Kornilov, and offered arms to those who would defend Petrograd against Kornilov. The Bolsheviks enlisted a 25,000-strong militia to defend Petrograd from attack and reached out to Kornilov's troops, urging them not to attack. They stood down, the rebellion fizzled and Kornilov was taken into custody. However, the Bolsheviks did not return their arms, so Kerensky succeeded only in strengthening the Bolshevik position. The Central Committee of the Bolsheviks had been debating whether to call for an insurrection. Lenin urged the Bolsheviks to overthrow the Provisional Government. Zinoviev and Kamenev were the only members of the Central Committee to disagree. They took the unusual step of making their objections public in the pages of Pravda, an act that very nearly got them expelled from the party for breaching party discipline. Kerensky was forced to move against the Bolsheviks on October 22 by ordering the arrest of their Military Revolutionary Committee, banning the Bolshevik newspaper and cutting off telephone lines to the Bolshevik headquarters in the Smolny Institute. Trotsky urged the Bolsheviks' to take action. Lenin concurred and on October 24, orders were issued for the Bolsheviks' Red Guards to occupy key locations in the city and surround the Winter Palace, where the Provisional Government had its headquarters. For the most part, the revolt in Petrograd was bloodless, with the Red Guards led by the Bolsheviks taking over major government facilities with little opposition before finally launching an assault on the Winter Palace on the night of October 25. The assault led by Vladimir Antonov-Ovseenko was launched at 9:45 p.m., signaled by a blank shot from the cruiser Aurora. The Winter Palace was guarded by Cossacks, Women's Batallion, and cadets (military students) corps. It was taken at about 2:00 a.m. Later official accounts of the revolution by the Soviet Union would depict the events in October as being far more dramatic than they actually were. Official films made much later showed a huge storming of the Winter Palace and fierce fighting, but in reality the Bolshevik insurgents faced little or no opposition and were practically able to just walk into the building and take it over. The insurrection was timed and organized by Leon Trotsky to hand state power to the Second All-Russian Congress of Soviets of Workers' and Soldiers' Deputies which began on October 26. On October 26, 1917, the All-Russian Congress of Soviets met and handed power over to a Soviet Council of People's Commissars with Lenin as chairman, Trotsky as commissar of the Red Army and minister of foreign affairs, and Bolsheviks taking positions in what was to be the new government. Dates are correct for the Julian calendar, which was used in Russia until 1918. It was 12 days behind the Gregorian calendar during the nineteenth century and 13 days behind it during the twentieth century. 1903 - Second Congress of Russian Social Democratic Labour Party. Beginning of split between Bolsheviks and Mensheviks. 1905 - Russian Revolution of 1905. January - Bloody Sunday in St. Petersburg. 1915 - Serious defeats; Nicholas II declares himself Commander-in-Chief. Progressive Bloc formed. 27th – Troops refuse to fire on demonstrators, desertions. Prison, courts, and police stations attacked and looted by angry crowds. 3rd – Return of Lenin to Russia. He publishes his April Theses. 20th – Miliukov's note published. Provisional Government falls. 3rd – First All-Russian Congress of Soviets in Petrograd. Closed on 24th. 16th – Kerensky orders offensive against Austro-Hungarian forces. Initial success. 2nd – Russian offensive ends. Trotsky joins Bolsheviks. 4th-7th – The "July Days"; anti-government demonstrations in Petrograd. 6th – German and Austro-Hungarian counter-attack. Russians retreat in panic, sacking the town of Tarnopol. Arrest of Bolshevik leaders ordered. 27th – Right-wing General Lavr Kornilov is alleged by Kerensky to have attempted a coup. Kornilov arrested and imprisoned. 4th – Trotsky and others freed. Trotsky becomes head of Petrograd Soviet of Workers' and Soldiers' Deputies. 25th – October Revolution is launched as MRC directs armed workers and soldiers to capture key buildings in Petrograd. Winter Palace attacked at 9.40 p.m. and captured at 2 a.m. Kerensky flees Petrograd. Opening of the 2nd All-Russian Congress of Soviets. 26th – Second Congress of Soviets: Mensheviks and right SR delegates walk out in protest against the previous day's events. Decree on Peace and Decree on Land. Soviet government declared—the Council of People's Commissars (Bolshevik dominated with Lenin as chairman). Reed, John. Ten Days that Shook the World. 1919, 1st Edition, published by BONI & Liveright, Inc. for International Publishers. Transcribed and marked by David Walters for John Reed Internet Archive. Penguin Books; 1st edition. June 1, 1980. ISBN 0140182934. Retrieved May 14, 2005. Serge, Victor. Year One of the Russian Revolution. L'An l de la revolution russe, 1930. Year One of the Russian Revolution, Holt, Reinhart, and Winston. Translation, editor's Introduction, and notes © 1972 by Peter Sedgwick. Reprinted on Victor Serge Internet Archive by permission. ISBN 0863161502. Retrieved May 14, 2005. Trotsky, Leon. The History of the Russian Revolution. Translated by Max Eastman, 1932. Library of Congress Catalog Card Number 8083994. ISBN 0913460834. Transcribed for the World Wide Web by John Gowland (Australia), Alphanos Pangas (Greece), and David Walters (United States). Pathfinder Press edition. June 1, 1980. ISBN 0873488296. Retrieved May 14, 2005. Arsenal aka Арсенал aka January Uprising in Kiev in 1918 (IMDB profile). Written and directed by Aleksandr Dovzhenko. Runtime: 70 min. Soviet Union/Ukraine. Language: Russian / Ukrainian. Black and White. Silent. 1928. Konets Sankt-Peterburga aka The End of St. Petersburg (IMDB profile). Directed by Vsevolod Pudovkin and Mikhail Doller (co-director). Written by Nathan Zarkhi. 80 min. Soviet Union. Black and White. Silent. 1927. Russian. Rural youth caught up in 1917 revolution. Lenin v 1918 godu aka Lenin in 1918 (IMDB profile). Directed by Mikhail Romm and E. Aron (co-director). Runtime: 130 min. 1939. Oktyabr aka October aka Ten Days that Shook the World (USA) (IMDB profile). Directed by Sergei M. Eisenstein and Grigori Aleksandrov. Runtimes: Sweden: 104 min., USA: 95 min. Country: Soviet Union. Black and White. Silent. 1927. Reds (IMDB profile). Directed by Warren Beatty. Based on the book Ten Days that Shook the World. Runtime: 194 min. Country: USA. Language: English / Russian / German. Color (Technicolor). Stereo. 1981. Anastasia (IMDB profile). Directed by Don Bluth and Gary Goldman. Based on Anastasia. Runtime: 94 min. Country: USA. Language: English / Russian / French. Color (Technicolor). Stereo. 1997. Fitzpatrick, Sheila. The Russian Revolution. Oxford University Press; 2nd reissue edition. December 1, 2001. ISBN 0192802046. Year One of the Russian Revolution from the Victor Serge Internet Archive on Marxists Internet Archive. Translation, editor's Introduction, and notes © 1972 by Peter Sedgwick. History of "Russian Revolution of 1917"
This page was last modified on 21 July 2015, at 15:28.